When the models wearing designer Li Liu's collection hit the runway, it was instantly obvious there was a hint of the Orient in their inspiration. But that did not define them. That inspiration was transformed into looks that were also very modern. From the choice of fabrics, to palette, to silhouettes, her creations offered a fresh, unique point of view that drew the audience in. Here and there you could see someone leaning slightly forward to check a detail out more closely or jotting a few notes. Graduation is when a new designer gets to really shine without limits and Liu did just that. Liu was born and raised in rural China. Although money was scarce, dressing nice was still important. "I liked to wear black and what I thought were the most fashionable sneakers I could afford." Friends were always ready to step in and help the her shop. Singing became another passion in high school and there were thoughts of a professional career at one time. As performers were known for wearing the most fashionable clothes, it became another draw into the world of fashion. 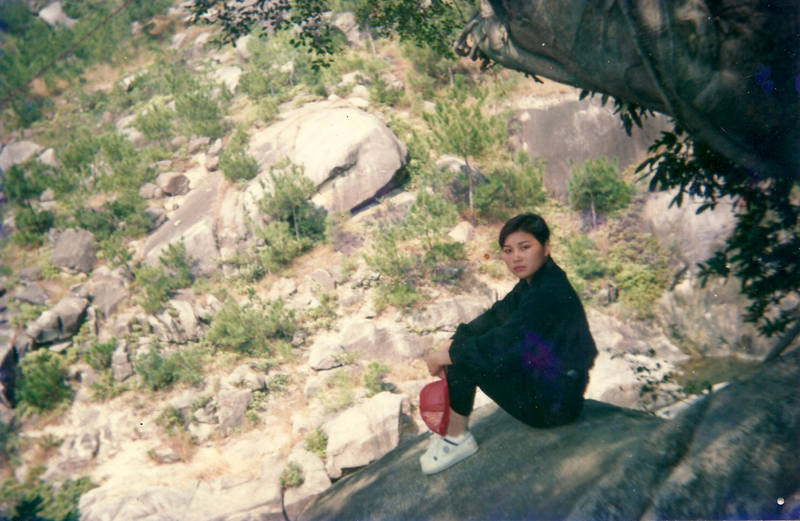 A picture of Liu from her high school years. me, taking care of our two children - including a one year old baby - and encouraging me to study fashion." After spending a lot of time researching Vancouver area design programs, she chose to enroll in Blanche Macdonald's one-year intensive program. "It had the strongest emphasis on fashion design and illustration and when I visiting, I felt it had the best environment and would be the greatest stage for a student to learn." School was demanding and Liu worked hard every day, all day, while still trying to find a bit of time for her family. There was one class in particular that challenged her to reach deep - fashion drawing. The teacher actually noted her faces were some of the worst she had seen. It was just the motivation Liu needed. By the end of the course she had grown immensely and the instructor was pleased with her artwork. It was tough love, but she will always be grateful to that teacher for her support and for helping her become the best she could be. Liu chose to create a grad collection for the wealthy, independent woman. They were looks that could be worn as high-end daywear and transition seamlessly into evening wear. Chinese Buddhist temples provided the inspiration. "The temples have an architectural symmetry and lots of colorful paint. Inside the temples are Buddha statues on top of lotus flower thrones, golden lanterns with jewels, flowers and fruit offerings, prayer wheels, endless knots, ceremonial drums and iron bells." The palette was a luxurious mix of yellow, gold, red, green, and black. Fabrics included silk leopard print, cashmere wool suiting, traditional Chinese embroidered brocades and paisley lace. This collection was the perfect showcase for what Liu feels she has to offer the fashion world. 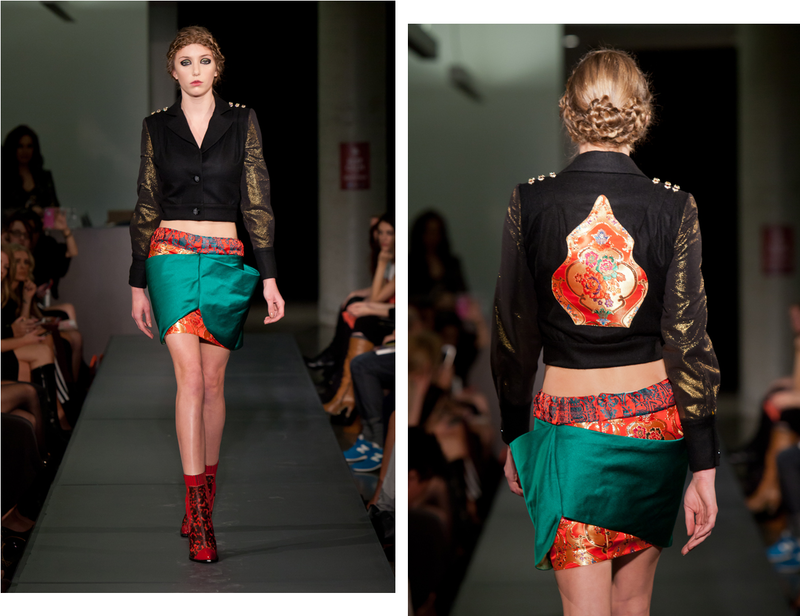 "I bring 5000 years of Chinese art and cultural history into my designs. I think there is a lot of historical content that can be adapted and blended into very forward-looking fashion that can attract a global clientele." While all three looks were strong, the designer did have a favourite - the asymmetrical peplum collarless fitted jacket, jeweled around the waist (image above left). Under the jacket is a lantern skirt with piping binding. Where will Liu's career take her next? One path would lead her to further education and advanced training. Another would be to open a boutique and sell her own designs. Only time will tell which road is chosen. Whatever her choice, the designer's focus on what is needed to be successful in this industry is unwaveringly clear and to the point. 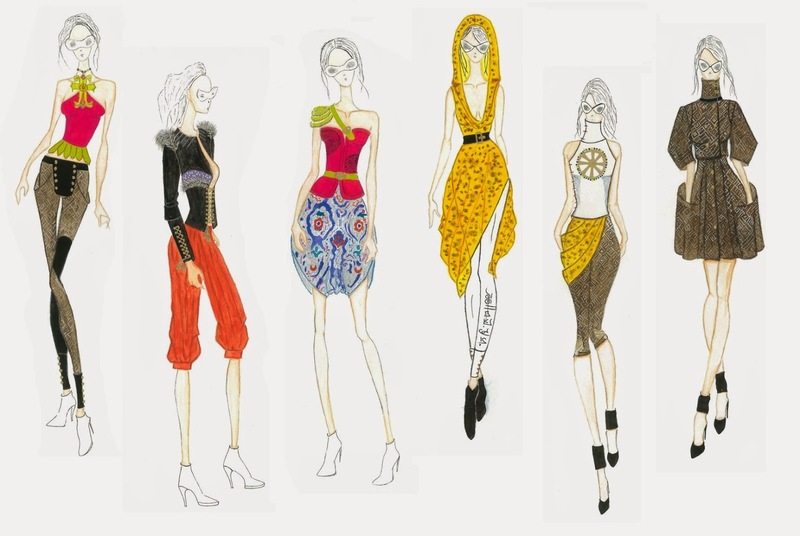 "Fashion design involves creating new designs that people will want to wear. I can never forget that there has to be a market for my designs, or else they cannot be considered 'fashion.'" To contact Li Liu email jcllbzy@gmail.com. You can also follow her on Twitter at @rennaliu. For more information in the fashion design program at Blanche Macdonald go to www.blanchemacdonald.com/fashion/.